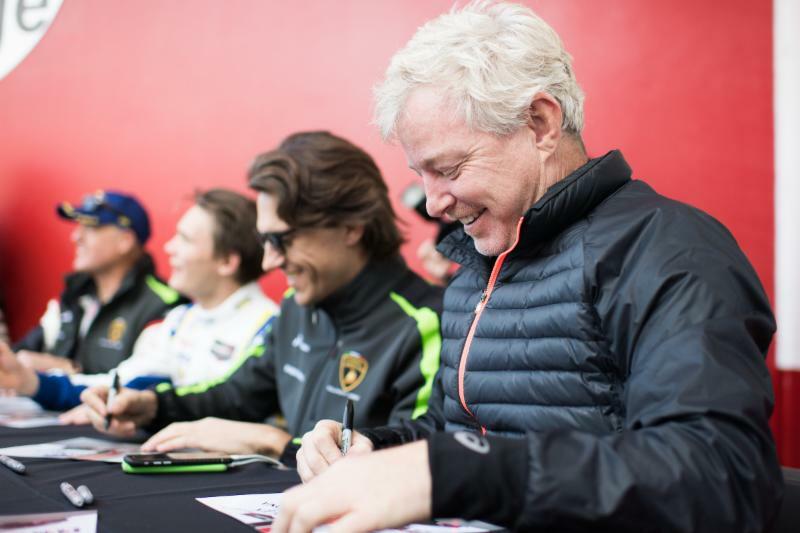 DAYTONA BEACH, Fla., (January 27, 2019) — Precision Performance Motorsports made their IMSA WeatherTech SportsCar Championship debut this weekend at Daytona International Speedway in the No. 47 Lamborghini Huracán GT3 EVO. 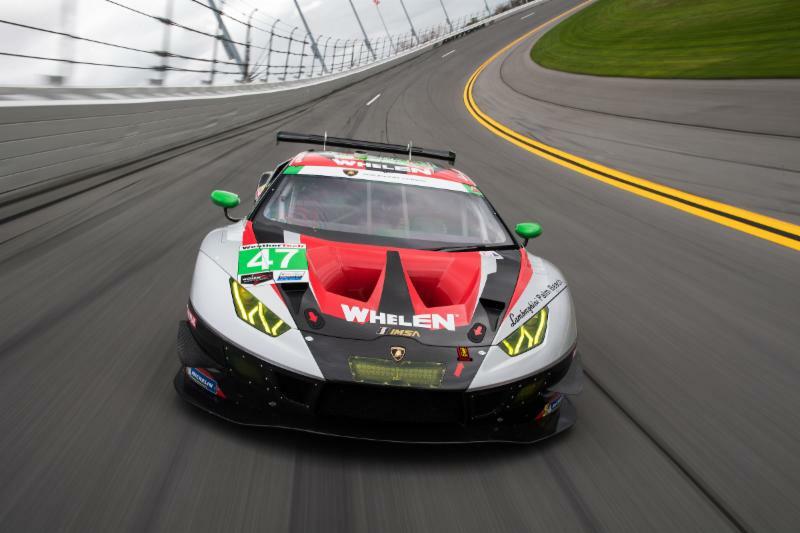 Following a season in the IMSA Super Trofeo series, the North Carolina-based team expanded to an IMSA WeatherTech program for the 2019 season, beginning with the Rolex 24 at Daytona. 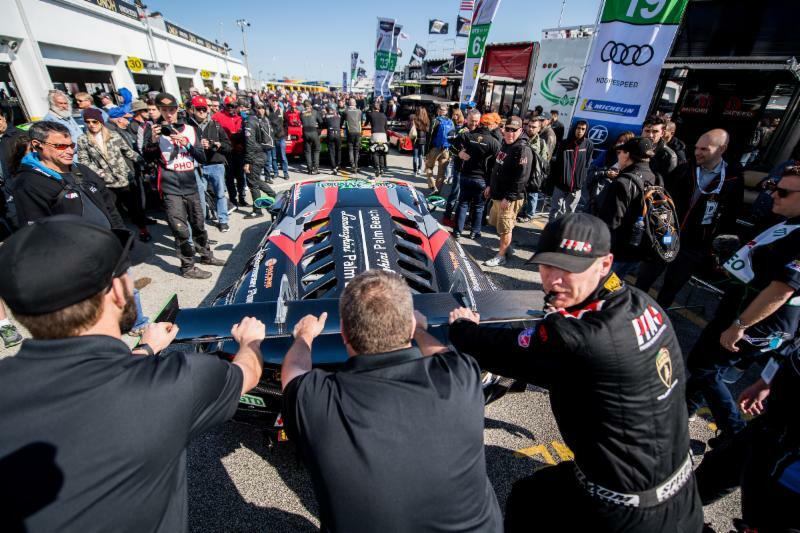 Despite being new to the top-level sports car racing series, the Precision Performance Motorsport (PPM) method worked through the weekend to find their own success in the longest event of the year, surviving calamity and chaos to finish their first IMSA WeatherTech endurance event. 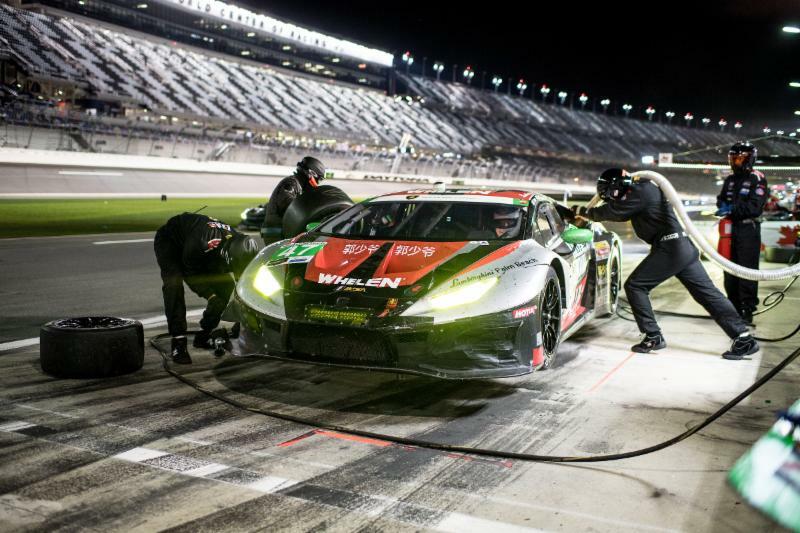 Don Yount, Linus Lundqvist, Steve Dunn, Miloš Pavlović, together with their team of engineers and crew, came together to overcome treacherous weather conditions and various levels of adversity to meet their goal to finish the 2019 Rolex 24 at Daytona. 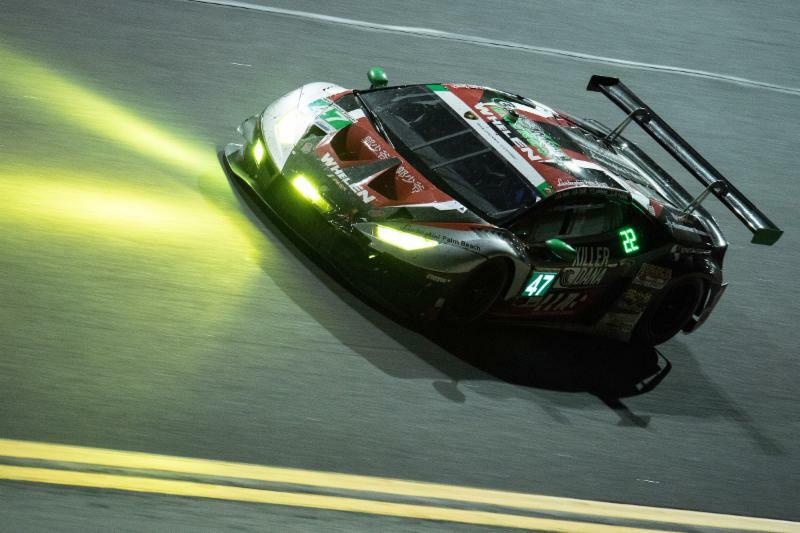 In what felt like the most chaotic Rolex 24 At Daytona in recent years, the team raced its new car in a series for the first time, enduring over ten hours of red flags and caution periods. Don Yount started the No. 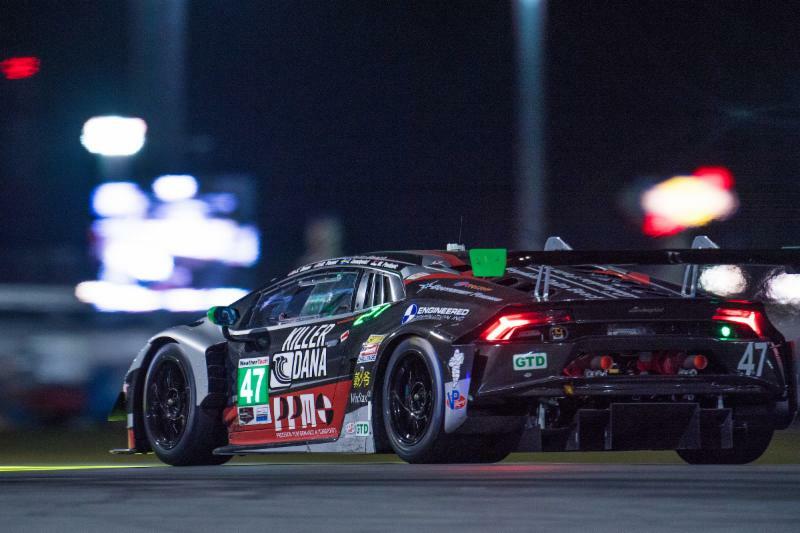 47 Lamborghini in 20th place in the GTD class, and completed an error free run to finish his stint in 22nd place. Trouble first appeared in the opening pit stop when the car left pit lane with equipment still attached, resulting in a pit lane drive-through penalty. Yount rejoined, clocked in consistent lap time, and in no time gained a position to finish his stint in 21st. British F3000 Champion Linus Lundqvist took over next, joining the field two laps behind the leaders. Temperatures at Daytona International Speedway started to drop as the field encountered the first full course caution two hours into the event. At the end of his double stint, Lundqvist brought the car up to 20th place, handing the driving duties over to Steve Dunn. The fourth hour of racing resulted in a pit lane speed violation, setting the team back two laps off of the GTD class leaders. Dunn served the penalty and continued to put in consistent lap times to maintain position throughout his stint. With 25% of the race complete, the team desperately needed two pass around procedures during caution periods, which would have allowed the No. 47 to regain the two laps that separated them from the GTD class leaders. The pass-arounds never came but the team forged on, determined to perform at their best in their debut IMSA WeatherTech race. Miloš Pavlović took over the driving duties in hour seven, but was soon victim to contact from another car, resulting in the No. 47 spinning in the International Horseshoe. The offending car received a penalty and Pavlović rejoined the race to pit and close out his stint. Don Yount resumed his driving duties at the top of the eighth hour, but disaster struck when his car stopped on track, with the car stuck in gear. 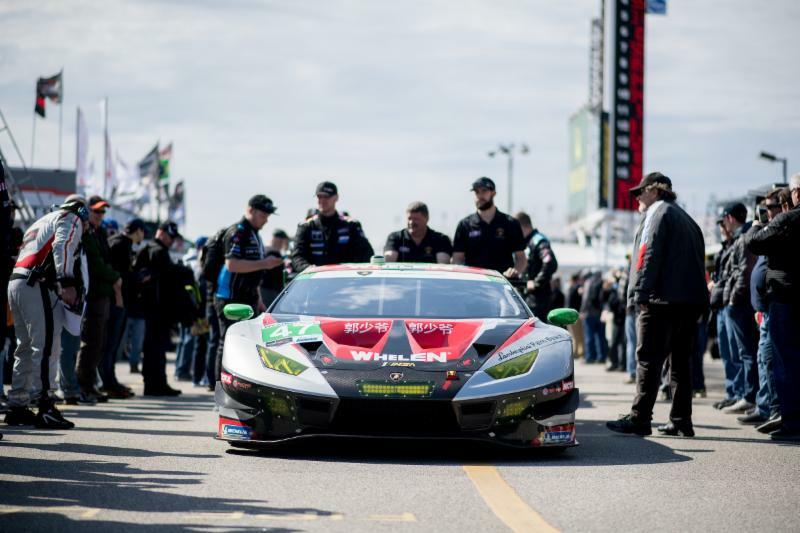 Track officials towed the Lamborghini back to the team’s garage, where the team spent almost three hours on repairs, removing the gearbox and replacing the clutch. The monumental effort, conducted in the middle of the night, brought the team back into the competition 115 laps down from the class leaders. Despite the team setback, the team continued to produce a relentless attitude, racing into the early hours of Sunday morning to gain back lost laps. The rain arrived at 5:00AM and never ceased, resulting in over ten hours of cautions and carnage as puddles appeared around the track. As competitor after competitor spun off track or caused contact, the No. 47 Lamborghini Huracán stayed on course, and the four drivers cycled through. 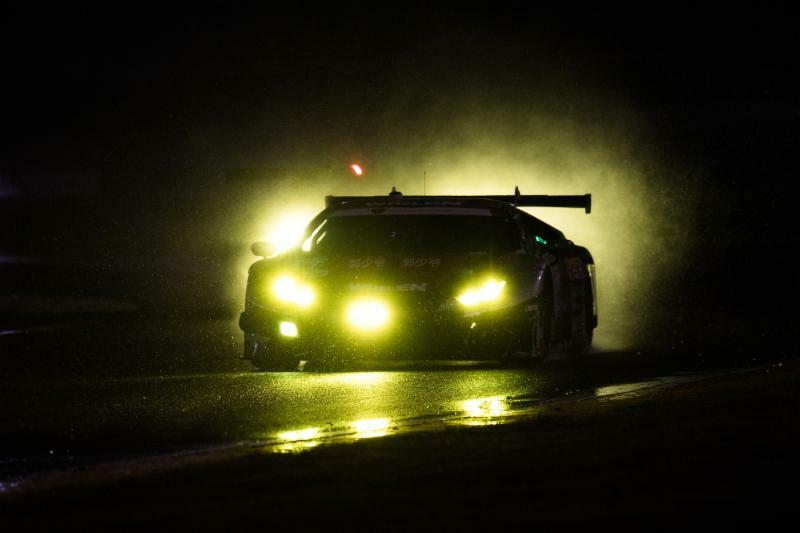 With just over seven hours remaining in the race, the IMSA Series officials halted the race, bringing out a red flag out of concern for the safety of the competitors. After a long, cold night, dawn was a welcome sight, but the rain continued to pour. The delay lasted one hour and thirty seven minutes, and the field restarted at 9:00AM, only to produce a series of caution flags in torrential downpour. In the end, the series again red-flagged the race for a final time, due to extreme weather conditions. Precision Performance Motorsports finished the race in 20th position, one of just a handful cars who escaped the race without series damage. 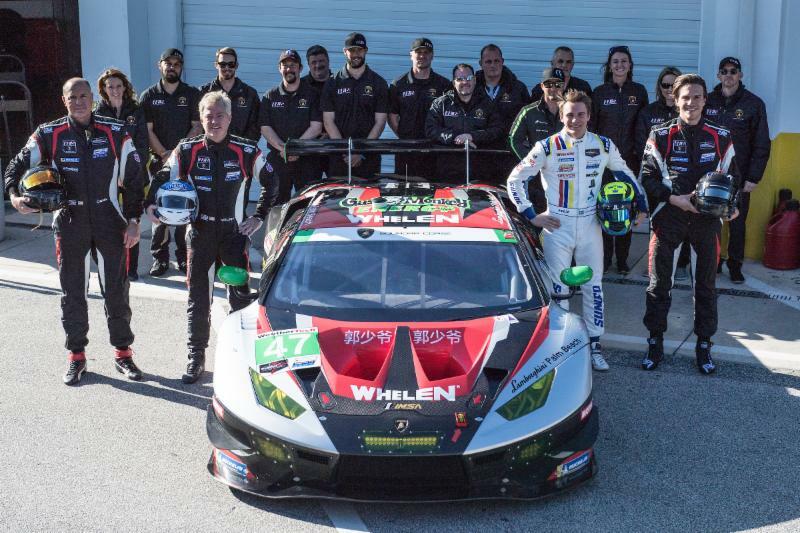 Precision Performance Motorsports will race next March 13-16 at Sebring International Raceway for the 12 Hours of Sebring, the second endurance race on the 2019 IMSA WeatherTech SportsCar Championship calendar. Announcements regarding driver lineups for Sebring as well as the rest of the season will be made at a later date. For series information, visit imsa.com. Sunny Voelker | Team Manager I’m really proud of our effort and all of our guys. I’m proud of our full time guys at the shop, our fly-ins, our drivers, and everyone we had to add to the team for this event. It is a unique event that is challenging in so many ways that you can’t predict. You can prepare to a certain degree, but you have to be willing to adjust. We knew what hand we were dealt when we got here, being behind the time frame to accomplish everything we needed to with the car. It’s almost like being a new team in the NFL and you start off with the Super Bowl. That’s what this felt like, and I’m so proud of the effort we put forth. We went the distance, and we finished the race. We had things thrown at us that we didn’t anticipate, and overcame adversity. The drivers were solid and the crew was solid. We pulled together and finished the race, which is what we wanted to accomplish. I’m very pleased and looking forward to Sebring. Drivers ﻿ Steve Dunn We had a hard go at the Rolex 24 at Daytona. We had some mistakes, and contact from another car put us back many laps. Everybody drove well, and overall it went fine. We dug in and finished the race. The rain was treacherous, and a lot of people were flying off the track. We focused on keeping the car on track in the final hours and be there to finish the race. Linus Lundqvist I want to start my thanking our team and our mechanics. Those were the people that worked the hardest for the last 24 hours. They worked on the car for three and a half hours straight to get us back out there. It was something I’d never seen before, so it was very motivating. All of us drivers thought we wanted to finish the race, even just to say thank you to them. Unfortunately, we didn’t get to take the checker flag, but the result says we finished the race, and that’s what we did. It was a tough race for us all the way through. I think we showed from time to time that we had the pace to fight with the top guys. All in all, I’m happy with the team and what I’ve done as well. This was a whole new experience for me, and I’m looking forward to whatever comes next. Miloš Pavlović This was an endurance race, and things surely didn’t go how we planned for them to go, but as a team, we did our best and took the car to the end. I’m very thankful to Precision Performance Motorsports, because even after the contact, they managed to get us back on track and never give up on fishing the race. Result wise, it’s never ideal. This is the first race for us in this championship, and there are always things we can improve and do better, but the team effort was great, and I’m sure the next one will be much better. Forza PPM and I’m sure it’ll come. Don Yount Two out of three races at the Rolex 24 At Daytona usually go the way ours went: Where weather or luck get in the way. Our team did a great job, especially changing a gearbox in the middle of the night. I think we would have been close to the lead lap had it not been for a few moments of bad luck. Overall, I’m really impressed with everything.